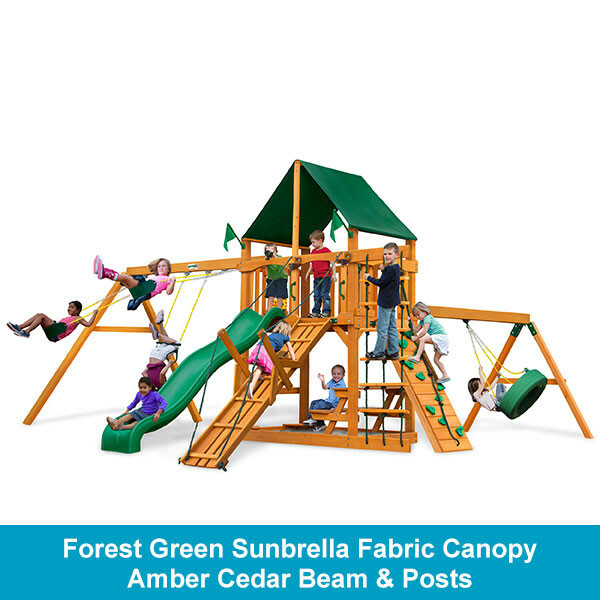 The Frontier Swing Set is a great swing set from Gorilla. 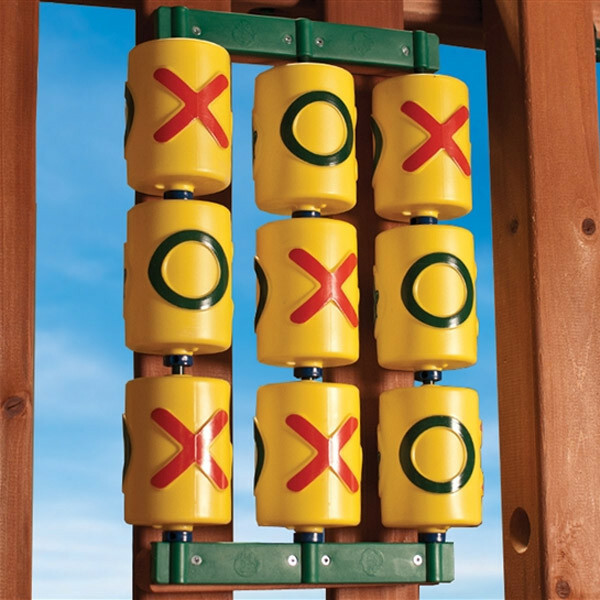 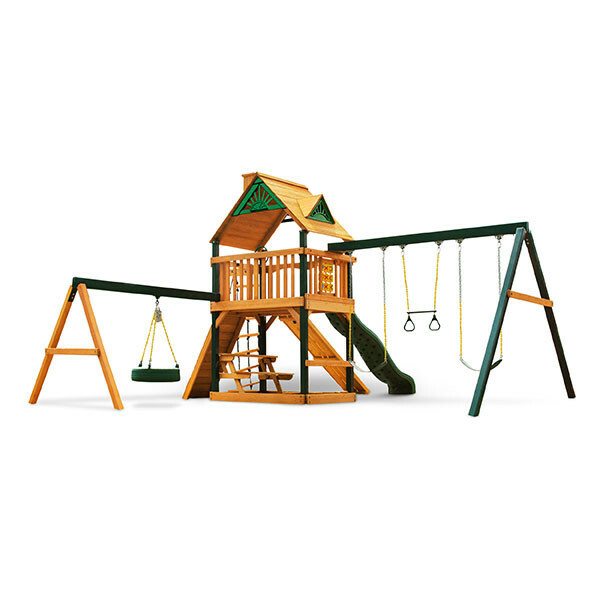 This quality-crafted play system comes loaded with all kinds of features and activities. 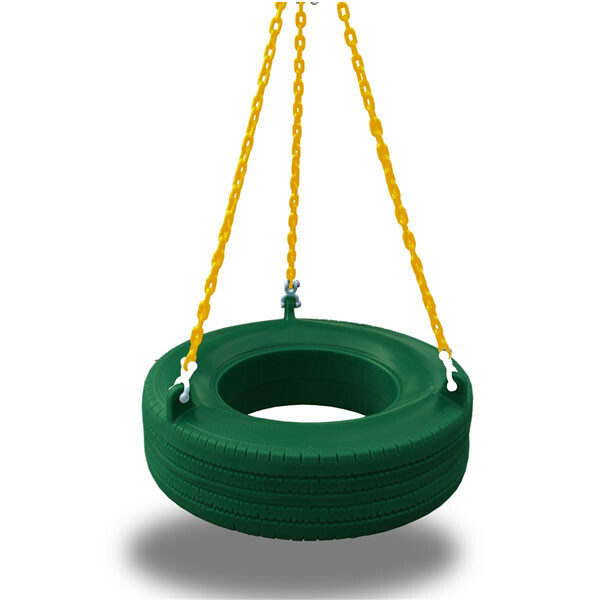 Its wave slide, swings, trapeze bar, and tire swing will keep your kids entertained for hours. 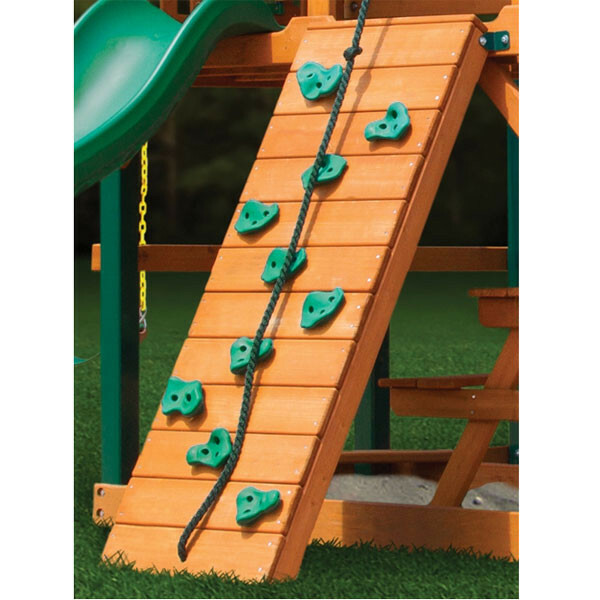 They will love to use their imagination when climbing the rock wall or the climbing ramp and using the telescope on the play platform. You can even have lunch on the picnic table under the platform. 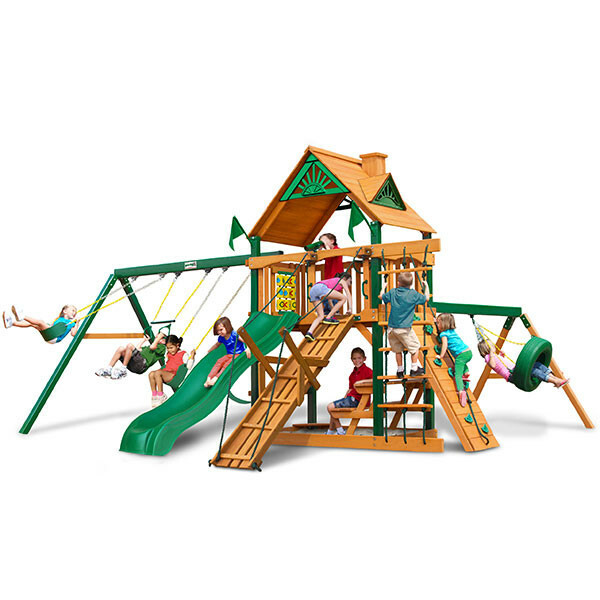 The Frontier Playset is constructed of factory stained wood as well as powder-coated chains that make the set almost maintenance free. 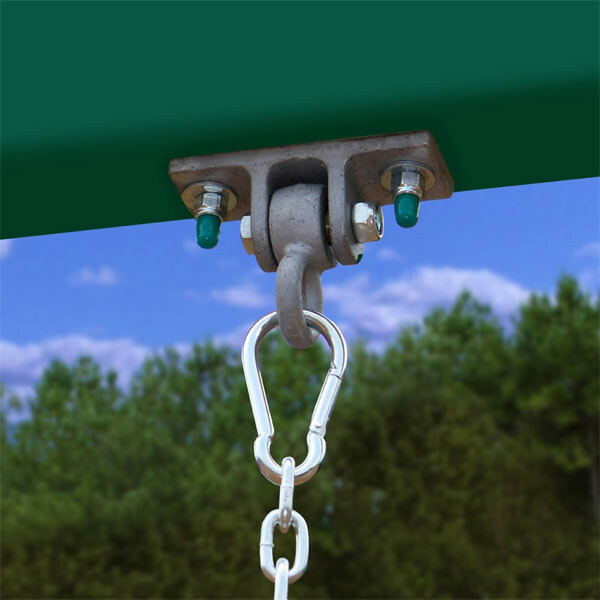 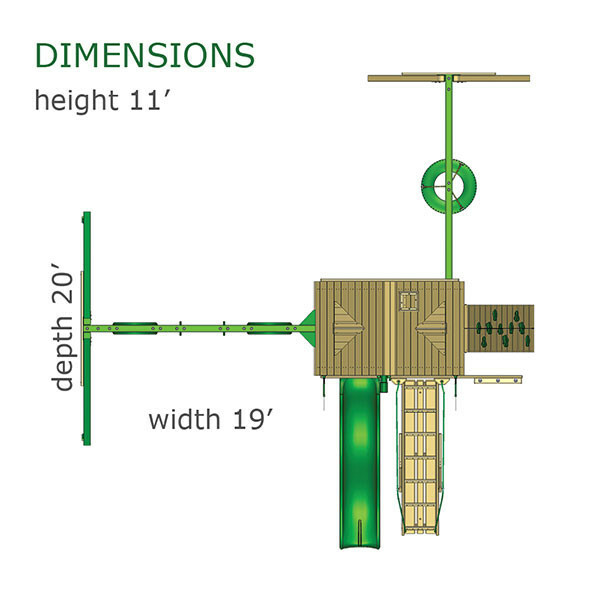 You will also receive step-by-step illustrated instructions along with all of the required hardware and pre-drilled beams for ease of assembly. 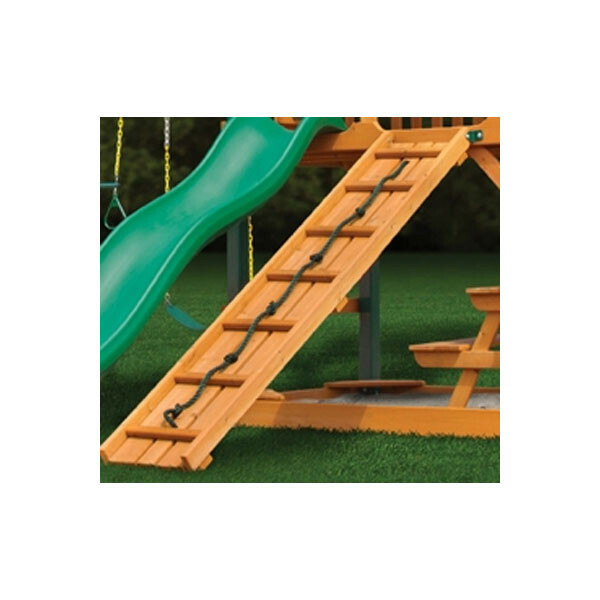 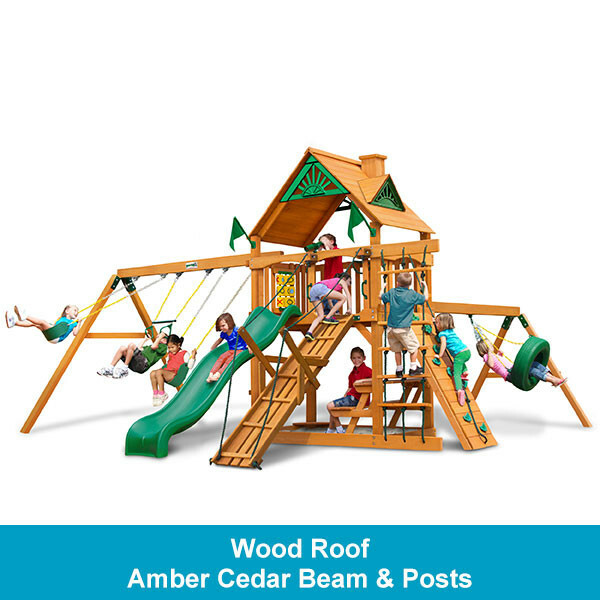 Along with all of the other great features this swing set offers, you now have the choice between 4 roof designs as well. One option includes the new Sunbrella fabric roof in Forest Green while a second option comes with a basic green vinyl roof. 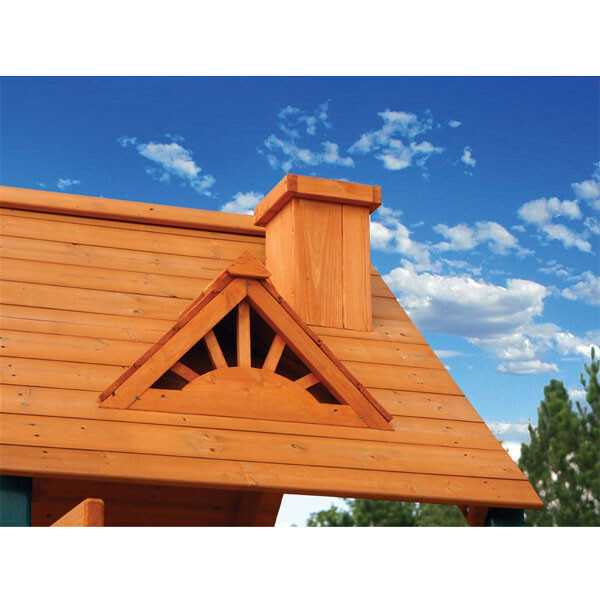 The original Frontier features their signature tongue and groove wooden roof with dormers and a chimney.